Tochal ski resort is a famous ski center in Iran. 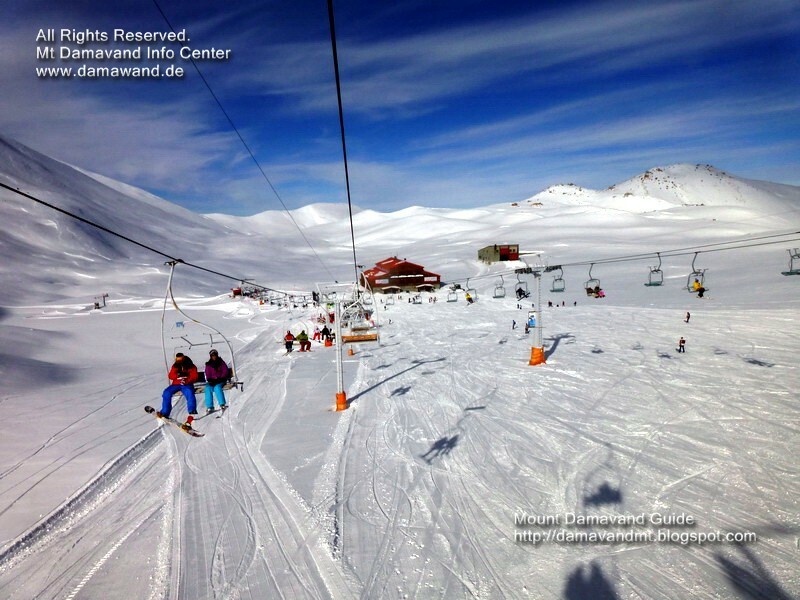 This resort it is the nearest ski field to Tehran city therefore it is popular for single day trip ski and snowboard tours. This ski center has a gondola lift called “Telecabin Tochal”. The gondola lift main line is about 8 Km long. There are seven stations on the telecabin route. By this car cable it takes approx. one hour to go from the first station to the last station. The main ski resort is located at the seventh station. Telecabin starts from 1st station (1900 masl elevation) in Velenjak district in Tehran and reaches to 7th Station (3740 masl elevation) just bellow Mt. Tochal summit. The top ski resort was completed in the late 1970s. It was the world’s longest gondola line in that period. Mt. Tochal ski field is an ideal place for skiing and snowboarding and other winter sport activities. 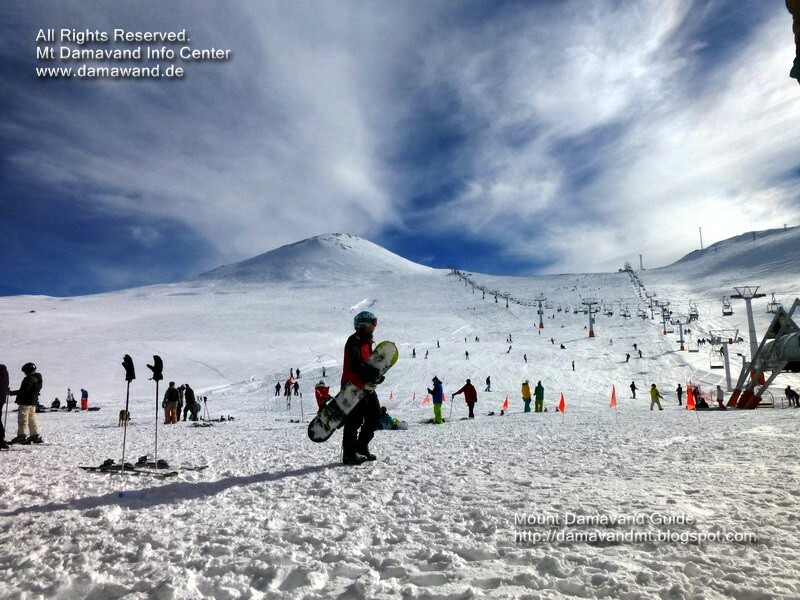 Mount Tochal ski center is a good place for preparation and practice before Damavand Ski Touring. A very cool way to become acclimatized to Iran ski climate in ski touring programs. Dizin and Shemshak ski areas are much larger and more popular ski fields compared to Touchal. But they are about 60 km away from Tehran. Tochal ski filed is higher in elevation compared to Dizin and Shemshak ski resorts, therefore snow remains longer in Touchal area. There is a nice hotel called Tochal Hotel at the base of the main ski resort (seventh station near ski lift) at 3550 m. It has 30 rooms and suites. There are restaurants at fifth and the seventh station. There are some ski lifts around the main line. It has two chairlifts and one T-bars. One ski lift near the top station. The one near the Gondola’s 5th station (2935 m) is closed now. Depending on the weather and the amount of snowfall in the area, the ski season usually starts in November and lasts until April or even June. Ski season on the top station of Tochal ski resort may start from December and last until April. In a good snow condition it may start in November and last to mid-June. (for more info visit Tochal.org). Ski season in Tochal ski filed. Mt. Tochal ski resort and ski lifts. Tochal hotel. Mt Tochal summit. Dizin and Shemshak ski resorts. Tochal Mountain ski tour Tehran. Alborz and Zagros Mountain tour. Adventure ski and trekking tours. Mount Touchal gondola’s 5th station. Ski and snowboard tour organizer Iran. Winter sport downhill ski expedition tour. Iran ski resorts. Damavand mountain Iran. 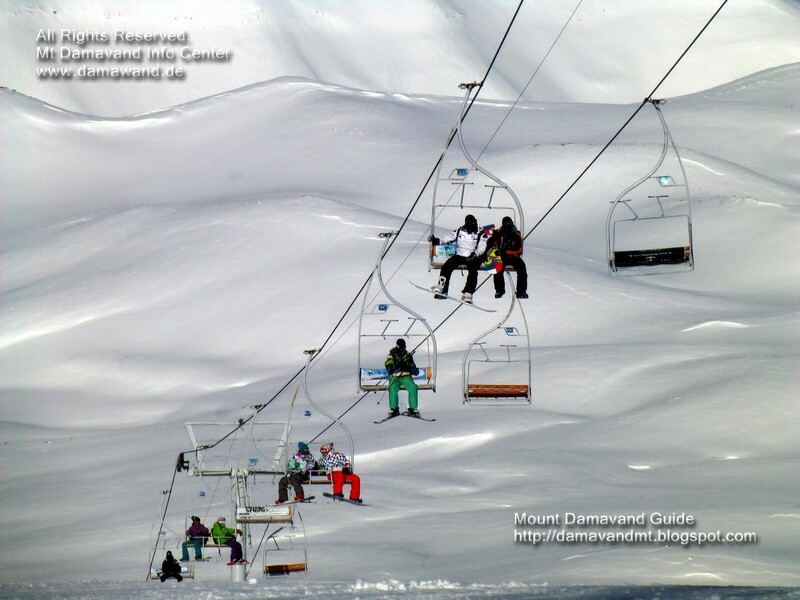 Damavand ski and snowboard tour organizer. Winter climbing and ski tour Mt Damavand Iran. Mount Touchal Tehran.Tochal Ski Resort Tehran.